The legendary bullet-hell shoot-’em-up series has come to Steam! 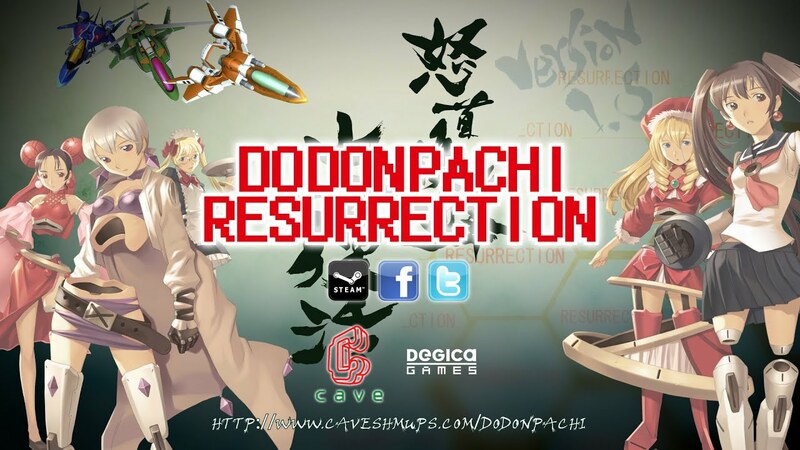 DoDonPachi is ressurected after a Blissful Death with enough modes to satisfy the beginner and the expert player alike. Tonight we dine in bullet hell! A different scoring system and controls in this Cave Matsuri special version. Play single stages in this highly customisable mode. A newly arranged mode with mechanics and a ship borrowed from DDP Blissful Death. A crash course in bullet hell for newcomers! A new method of attack and a new final boss await! Experience Black Label without the difficulty! Control the Tiger Schwert from KETSUI in the first international release for this mode!